Shahin is the Programme Coordinator at AIT Extension. His responsibilities cover giving assistance to Director Programme to research and prepare project proposals and training, design and prepare training courses, exposer and study visit programmes. He is responsible for project work related communication with client organizations, plan, communicate and coordinate with resource persons and specialists for training programme implementation. He facilitates study tours and learning activities in input session, in the fields, or in host organizations. He assists Project Director/Course Director to conduct evaluation exercise during the training programmes and post-evaluation of training programmes, need assessment, interpreter, liaison and communicate with client organizations on matters related to on-going training programmes at AIT Extension. Beside that, he provides assistance to disseminate information of training programmes to new client organizations. He is acquainted with study research knowledge in government sectors, good governance, leadership, public sector reform process, policy innovation and advanced public sector management. Sounds good on Anticorruption, Gender and diversity education, sustainability development, ICT and telecom, E-trade, project management, and Training-Of-Trainers. He has experience in lecturing at BUFT, Development Project work under Ministry of Women and Children affairs (Bangladesh) and NGOs in Bangladesh and Coordinated CEPD project funded by UNIDO at BUFT. Shahin attained number of national and international seminars, workshops, Conference and study visit in diversified areas. He have interest to write on demand topic, publication and critic analyses, have number of articles. 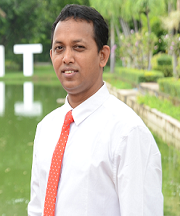 Shahin received his B.Sc in Computer Science and Engineering, Dhaka International University, Bangladesh and Master Degree in Gender and Development Studies, Asian Institute of Technology, Thailand.